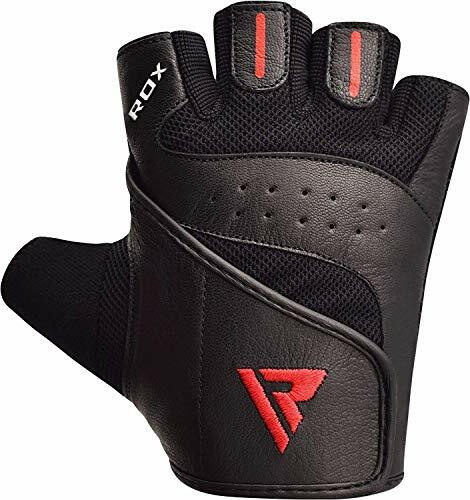 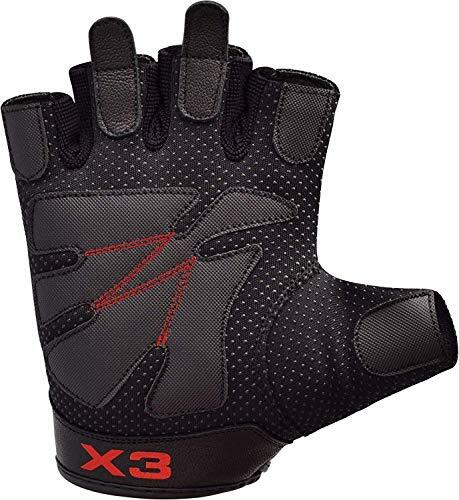 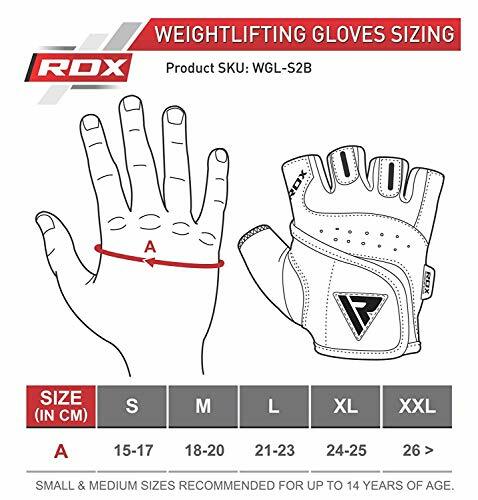 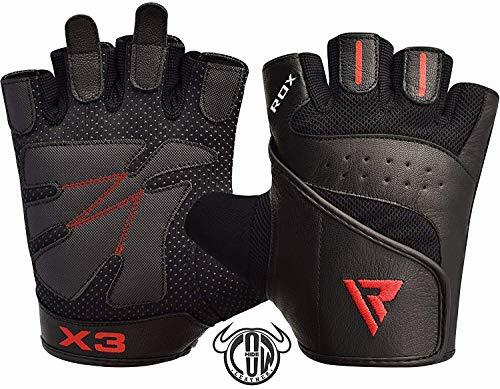 A pair of RDX fitness workout gym gloves in hand is worth two of any other on the market! 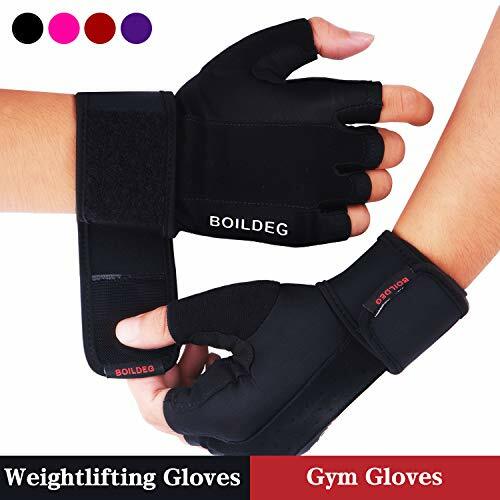 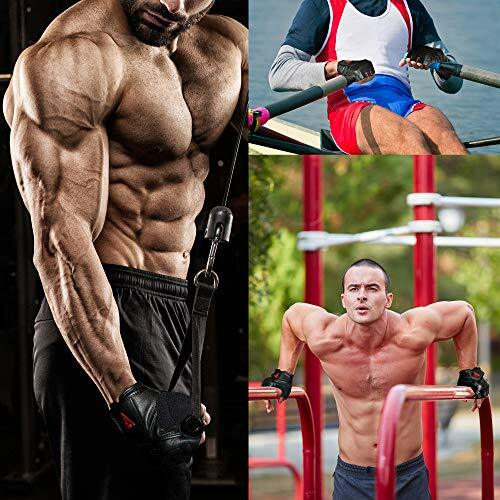 The stylish design brings a new level of comfort and support for all weight lifting disciplines be it CrossFit training, Bodybuilding or even Powerlifting. 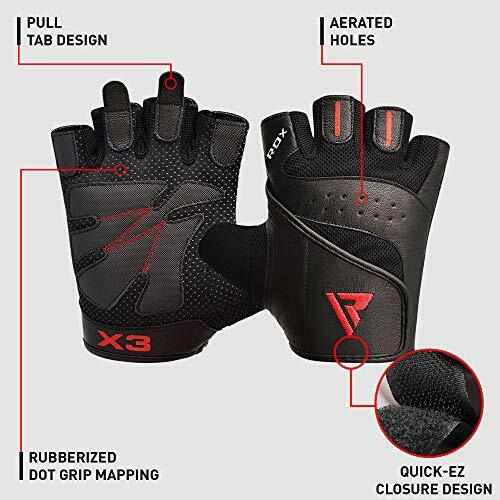 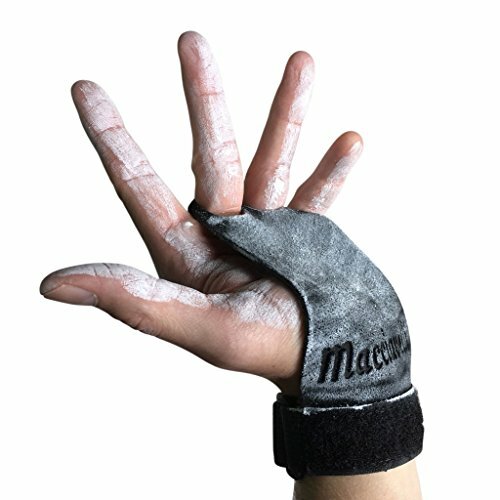 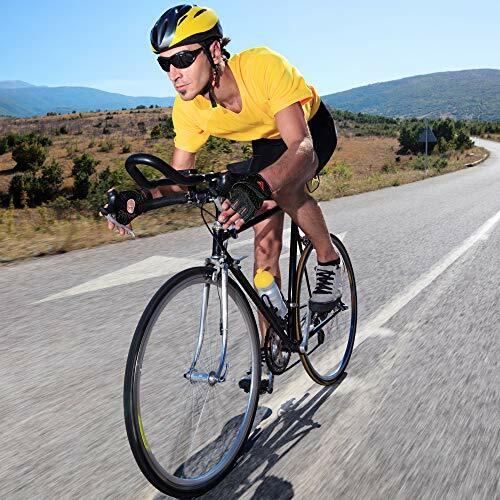 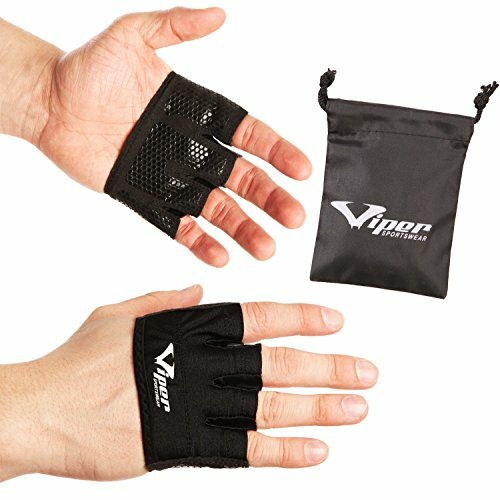 These uniquely designed gloves provide an airflow cooling system thanks to strategically placed perforations on knuckle-side to reduce the discomfort of sweaty hands while providing a cushioned, and solid palm grip (and fingers) on rods and bars. 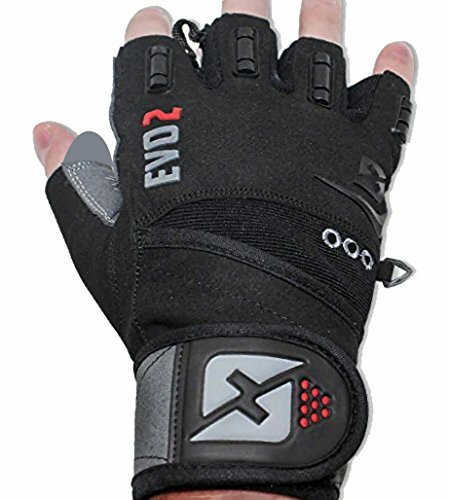 Stylish hook and loop design allows easy on an off access, while finger fins (tabs) assist with application.